1916 Ladies Home Journal A New Kind of Toy Shop. Wonderful Page of Elderly Men Making Wooden Animal Toys. Page is 16" high and 7 1/4" wide. Page is in very good condition, suitable for framing. 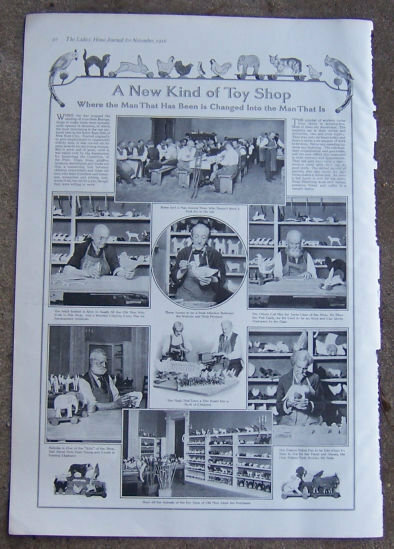 Items Similar To "A New Kind of Toy Shop 1916 Ladies Home Journel Page"